Bitcoin IS the future. But the future is not bright. Oh. My. Heck! Are you listening and watching what is going on in the crypto currency world? I'm going to lump all crypto currencies into one, bitcoin. I understand that they are not all the same but for the sake of this argument whether I refer to them as cryptos or bitcoin I'm talking about the same thing. Block chain technology as a currency or store of wealth. What are your initial feelings when you hear that bitcoin has gone up from about $1,800 to around $4,300 in one month? Do you feel left out? Like you are missing out on the chance of a lifetime? Or do you feel that there is something that's just not right about it? If you're not catching the fever then maybe you just don't truly understand what they are all about and what they can do for humanity. I mean seriously! I listen to lots of people who believe that crypto currencies and the block chain technology are the greatest thing since... I don't know, sliced bread?! No, sorry, they are much better than that. They are going to break the stranglehold of the big banks and governments and allow us to be truly free of fiat currency forever! Really? I mean really?! You can already see where I am going with this I'm sure. I have been trying excessively hard to wrap my head around bitcoin, why it is going parabolic and why there is such a buzz about it. Professionals in their field that I have been listening to for years are saying the complete opposite things concerning cryptos. Some are saying that it is the currency of the future while others say the contrary. I'm not going to lay out the entire case for or against bitcoin but rather what I have learned for myself from my own research, pondering, and experience. These two sides, who typically have a lot in common when it comes to talking about and advocating for precious metals are quite opposed to each other on this topic. It truly is quite bizarre to me. If you follow my blog you know that I'm big on silver, and gold too. It has been money for thousands of years and is proven to store wealth across centuries. In modern history it is now also an important metal for technology giving it even greater value. Bitcoin has been around for about 10 years. The argument for bitcoin is that it is decentralized, private, limited/rare, and in demand. Similar traits of precious metals. 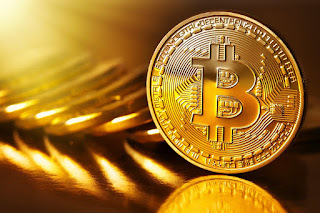 The individuals that I listen to regularly that are arguing the case for Bitcoin also say that gold and silver are money and do not deny that they will have a major part in the worlds economic future. That they compliment each other and will both help to break the current monetary system apart as the value of both go to the moon. There are speculations that some cryptos will be backed by gold or SDR's. There's a new wave of cryptos coming into existence soon that represent or be backed by digitized assets such as real estate and tea. Those that advocate for cryptos are convinced that the move into cryptos is being propelled by loss of confidence in the US dollar and other fiat currencies. It couldn't possibly be out of greed? Most people don't jump into an asset until they see that it is moving upwards, not simply because it has value but because they need return or because they are greedy. Interest rates have been so low for so long that nobody can put their money to work for them, and earn a return, without putting it at great risk. What could be more risky than a digital "currency" that only exists as a digital file? You got me. The increase in 'value' of bitcoin and other crypto currencies is driven solely by speculation if you ask me. The US Dollar is already pretty much a digital currency. Actual printed US currency equals much less than 10% of all of the US dollars in existence. The rest of them only exist digitally on a computer system. Yes this system is controlled by the Fed and the bankers. Various countries are in the process of going cashless and we can see it happening here too. Thus, are cryptos the next step? The next evolution of digital money? Digitize everything. Monetize everything, including people? Cryptos are not currency nor are they money. Currently they could be considered an asset but they are not currency. Will they become a currency some day? Possibly. Probably. Does this mean that you and I should jump on the bandwagon now? Count me out. Nothing but gold and silver are money. It's as simple as that. History has proven their value and their use as money and as a store of wealth. It has been said many times; If you don't hold it you don't own it. Just because you can store the block chain of a bitcoin on a thumb drive that you can then hold in your hand is not what I am talking about. If the internet doesn't work then your cryptos won't work either. Their are many arguments that verify or justify that cryptos have value, act like currency, are a store of wealth and otherwise are the way of the future. Some of those arguments are valid and many of them are speculation. There is not enough history with cryptos to know much of anything about what they will do. Don't be mislead by the picture of the shiny bitcoin above. It's just a clever marketing ploy. An attempt to associate it to something as valuable as gold. I believe that the next monetary system will be a world currency and it will be a digital currency. Existing only electronically. It will be used as a means of control over the people. With the implementation of 5G and the internet of things everything will be monitored and controlled, digitized and manipulated. Chipping everyone and everything. The mark of the beast will be widely, easily and blindly accepted. Even desired. Eventually no one will be able to buy or sell without it. Unless perhaps you have gold or silver. The fact that Goldman Sachs likes cryptos and is now supporting them is a dangerous sign? JP Morgan Chase has a patent on their own crypto. The central bank of central banks is working on a crypto that will be backed by the SDR. So this all means we should definitely start buying them! My instincts tell me the opposite is true. Cryptos are rapidly becoming accepted. Why? Because they are going up in 'value'. They are worth more and more in currency. They can buy more. But the truth is that they are simply an illusion of wealth. They are just plain an illusion. They don't exist unless you are living in the matrix. Unplug now! Get out now! How? Trade in your counterfeit fiat money for precious metals. Live off grid and begin to become more self sufficient. If you don't start now you'll become trapped; a monetized, digitized asset of the elite.